Fulham have signed winger Lazar Markovic from Liverpool. The Serbian, 24, is an international team-mate of Whites striker Aleksandar Mitrovic, who has recommended him to Fulham. The pair also played together at Partizan Belgrade. Fulham have also signed Håvard Nordtveit on loan from TSG 1899 Hoffenheim for the rest of the season after offloading Aboubakar Kamara to Turkish club Yeni Malatyaspor, while Stefan Johansen has completed a loan move to West Brom. Markovic has arrived on a free transfer and has signed an initial six-month contract. Norway international Nordtveit, 28, returns to London, having been with Arsenal as a youngster and later spent a season with West Ham, while his time in Germany has also included a five-year spell Borussia Mönchengladbach. Nordtveit can play at centre-back – where relegation-threatened Fulham have had major problems this season – or in midfield. “I’m really happy to have the opportunity to come back to the Premier League and hopefully help Fulham to a safe place. That would be a something that I would put high on my list in my career,” he told Fulham’s website. “The situation Fulham is in now, it’s more or less the same that Borussia Mönchengladbach was in when I went to them from Arsenal. “They were down the bottom of the table, a much worse situation, eight points off a safe place, and we made it. 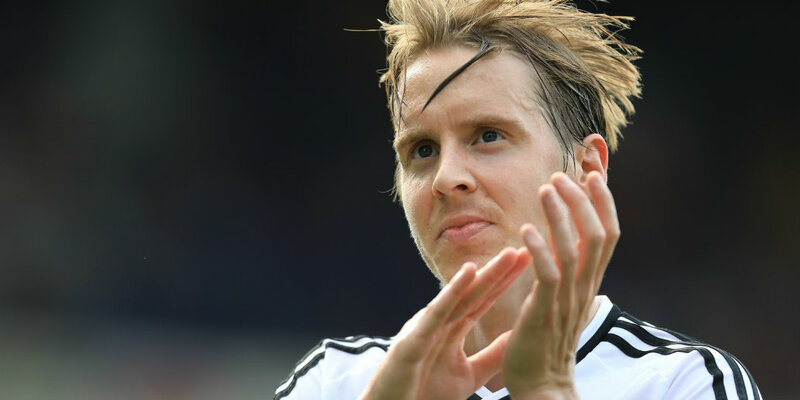 Johansen, one of the stars of Fulham’s promotion season, has since fallen out of favour and will spend the rest of the campaign at The Hawthorns. Kamara has also moved on loan until the end of the season. The striker was arrested at the club’s training ground on 21 January on suspicion of actual bodily harm and criminal damage. Fulham subsequently announced he had been “banned indefinitely from all club activities”.